environmental stress ( waterlogging, drought, frost, poor photosynthetic conditions). providing the plant with a readymade source of amino-acids essential for cell division and growth the product of which is limited under conditions of stress. At the moment in the UK we have snow in Scotland and drought in Kent all contributing to stress. What are the functions of amino-acids in the plant? There are twenty essential amino-acids that have different functions within the plant. 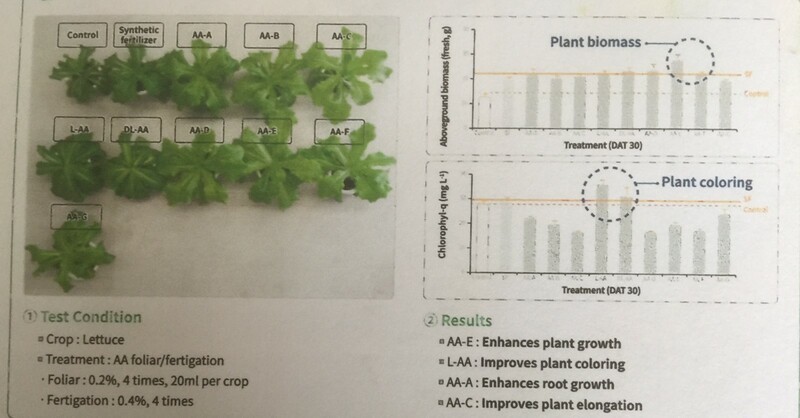 Trial above (Courtesy C J Cheiljedang) demonstrates the differences in plant growth observed from the application of individual amino acids referenced against the Control in the top left of the picture. They can clearly all have a positive influence. But AminoA+ contains every essential amino-acid so can have an influence in every stage of the plant's development. Which amino-acid product to choose? Therefore animal protein based products should be the product of choice provided that they are extracted by enzymes but most are extracted by acid hydrolysis. Acid hydrolysis damages or destroys many amino-acids (eg Tryptophan) so when an product produced by acid hydrolysis is applied to the plant it has to carry out further processes to produce the amino-acids it needs for cell division. All products that contain amino-acids can have a positive effect on the plant but,in our opinion, for best results always select a product that contains amino-acids extracted from animal protein by enzymatic hydrolysis. 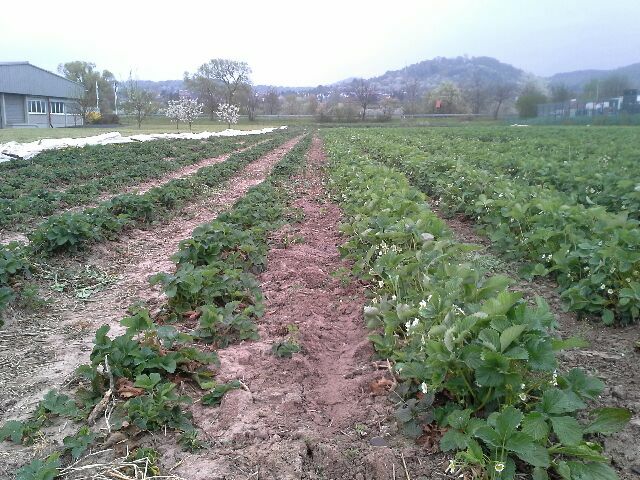 How can I use AminoA+ in my growing programme? AminoA+ has been used in many different crops worldwide from Wheat to Bananas with positive results. Used correctly it will influence the growth of any crop. It can be used as a foliar spray, through fertigation systems or mixed into starter fertilisers. Can I tank mix it with other products? We all know how agronomists like to give multi-product tank mix receipes so we have done some research on tank mixing! CAUTION: When applying with herbicides and growth regulators (do not apply more than 0.5 kg ha with herbicides that are already 'hot' on the crop or high doses of growth regulator as it can cause extreme crop shortening). Always add to tank mixes last when the sprayer is 80% full and ensure that the product is properly mixed. NB: Tank mixtures are carried out at the growers own risk. Where can I buy AminoA+? In the UK and Ireland we supply direct and will send product out by courier or pallet service from our warehouse near Cardiff, you can also collect if you prefer. For EU and Rest of World contact us for your nearest supplier. We will also soon have a secure automated order and payment service from our website. For the EU and Rest of World send us a request to find a distributor near you.